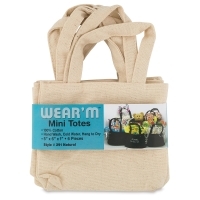 Customize your own mini totes! 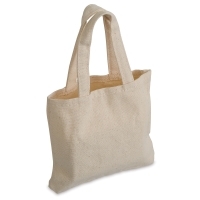 Made of 100% cotton, these 5" x 6" totes come in a pack of six. They're great as gift bags or party favors. Or use them in a classroom or at home to organize supplies. The natural surface is great for fabric paint, iron-on patches, stencils, and more.